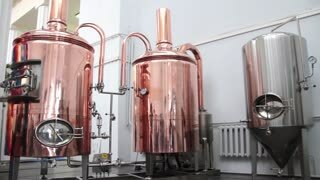 Copper brew kettles. 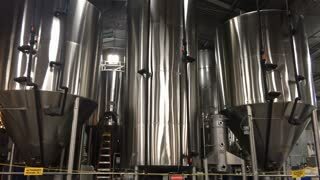 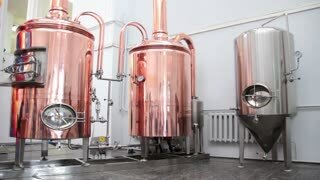 Red copper beer brewing tanks, brewery equipment. 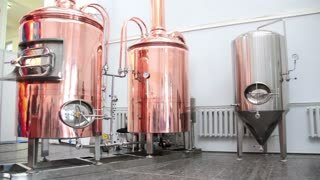 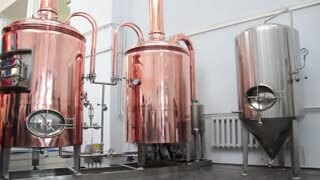 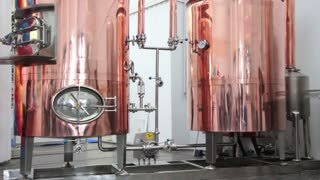 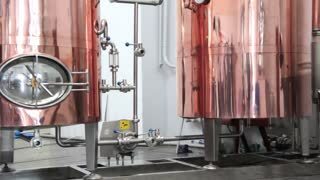 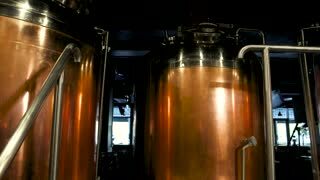 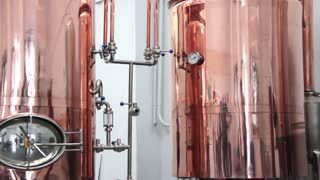 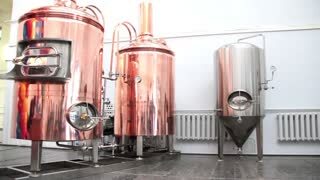 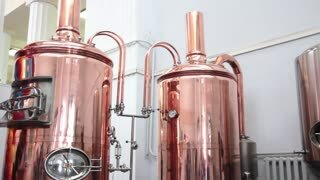 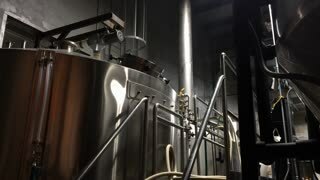 Brewery machines made of copper.